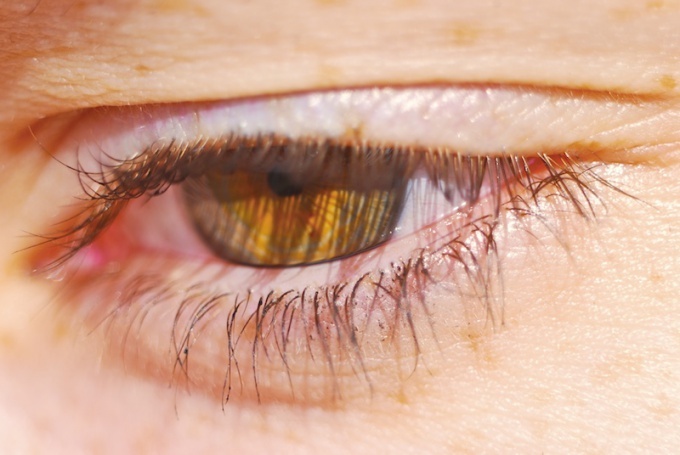 In the treatment of certain eye diseases ophthalmologists prescribe ointments, which are laid over the lower eyelid. To make this manipulation is not necessary to have medical education. It is quite simple and easy to implement in everyday life. Wash with soap and pour over boiling water to disinfect glass spatula, which you will lay ointment. Check the thickness of the ointment. When stored in the refrigerator or a cool place ointment can system, and in this case it will be uncomfortable to lay behind the eyelid. Thick ointment thaw out directly in the package in warm water. Wash your hands thoroughly and dry them. Seat the patient in front of a light with a slightly reclined head or lay on a horizontal surface without a pillow. Open the package with ointmentYu. In the right hand take a spatula and type in the desired quantity. Ointments should not be much because it will flow out of the eye slit, to get on the lashes, glue your eyelids and cause them to itch. Take a sterile cotton ball in his left hand. Ask the patient to look up, a cotton ball, pull down the lower eyelid. Keep the spatula parallel to the palpebral fissure and put ointment into the recess between the inner surface of the lower eyelid and eyeball. Gently remove the spatula movement of the hand towards the temple, leaving the ointment in the eyelidM. Take a cotton ball and ask the patient blinked a few times. These movements will allow the ointment evenly distributed under the eyelids. If the patient is unable to blink, then with a cotton ball gently massage the closed eyelids. Remove the sterile gauze cloth excess ointment if they are still there. Take another spatula, cotton wool and gauze, if you need to do the same manipulations with the other eye. If the spatula is only one, then disinfect it again. This is necessary to prevent the spread of infection from one eye to the other. If you are laying the ointment for the eyelid itself, then stand in front of a mirror so that your face is well covered. Perform the same movements in the same order. If you are left handed, then the left hand put the ointmentand the right retract lower eyelid. Many of us used that to treat various diseases of the eye are used eye drops. However, quite often, the doctors prescribe the ointments. They are more efficient because linger longer in the conjunctival cavity, therefore, have a greater therapeutic effect on the eye. The most popular tool – tetracycline ointment for eyes, which is prescribed for various infectious diseases, inflammation of iris, etc. If the doctor has recommended that you apply as drops and ointment, the procedure always start with the drops. Only after two or three minutes, proceed to filling ointment. Ointment for eyes laid pretty easy, you hardly need someone's help. For the procedure of laying ointment, you will need the very cream, special, purchased in a drugstore glass rods-blades and a cotton swab. A glass spatula should be pre-boiled to eliminate the possibility of contact with any germs. If you have the disease affected both eyes, be sure to use a separate wand for each of them. Take a glass blade with your right hand and squeeze the flat part of a small amount of ointment from a tube. Go to the mirror slightly pull down the lower eyelid with a finger of the left hand. Lightly apply on the mucous membrane of the ointment using a glass blade. Slowly release the lower eyelid, gently close your eyes and free conjunctive cavity of the eye from a stick. Put the wand, take a cotton swab using gentle circular movements make a gentle massage of the eye. This gentle massage for 30 seconds promotes even distribution of ointment across the membrane and accelerates the absorption of the applied drug. For the treatment of certain diseases using ointment under eyes and massage the eyelids with the ointment. It is very easy to do independently, without help. On the shoulder take some of the ointment and gently RUB the medication into the edge of the eyelid, moving the wand from left to right along the entire length century for a few seconds. Sterile gauze or a cotton swab, remove the excess ointment. The frequency of treatments and indications for use of a particular ointment be sure to ask your doctor, do not self-medicate. 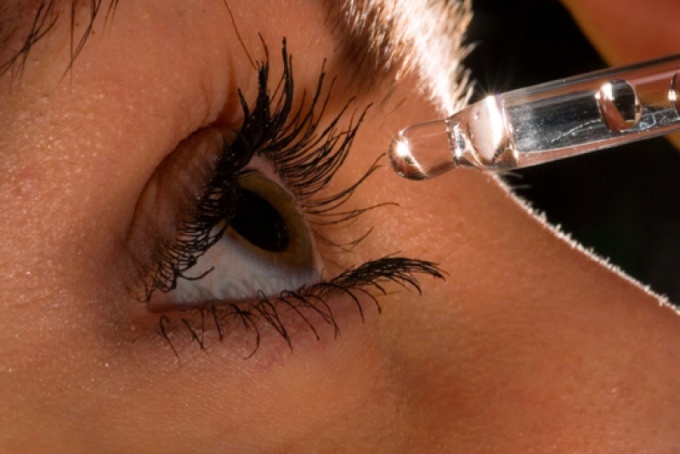 For the treatment of diseases of the eye, there are ointments, gels and drops. Eye ointments are widely used in ophthalmology. These drugs are best used only on prescription. Eye ointments drops differ from their more viscous consistency. When using the ointment is laid over the lower eyelid. For this reason, may experience temporary blurred vision. This is due to the presence of the ointment on the surface of the cornea. In a few minutes blurred eyes should go. Eye ointments are of two types: antibacterial and anti-inflammatory. The first is eritromicina and tetracycline ointment for the eyes, while the second - hydrocortisone ointment. Tetracycline ointment is assigned to a specialist for treatment of inflammatory diseases of the eye associated with infection by microorganisms sensitive to the composition of ointments. The drug tetracycline is a broad-spectrum antibiotic. It affects such microorganisms as Streptococcus, Salmonella, gonococcus, Staphylococcus, E. coli and others. Tetracycline ointment is indicated for inflammation of the mucous membrane of the eye – conjunctivitis; century – blepharitis; corneal – keratitis; infectious eye disease – trachoma. The drug is contraindicated in case of Allergy of the patient to the components, children under five years, pregnant and breastfeeding, in the treatment of viral and fungal diseases. Eritromicina ointment is a natural macrolide antibiotic. This drug is used to treat diseases that are caused by chlamydia, Ureaplasma, Mycoplasma and others. The effect of the drug is bacteriostatic. The ointment has an antibacterial action on many harmful microorganisms, including bacteria resistant to other antibiotics. Eritromicina ointment prescribed for allergies to penicillin. The disadvantage of this ointment is that resistance of microorganisms to the drug. This remedy is indicated for diseases of the eye, including newborns, bacterial, blepharitis, keratitis, chlamydia, trachoma. Contraindications to the use of this ointment is heavy liver dysfunction and hypersensitivity. Hydrocortisone ointment is recommended for the treatment of inflammatory eye diseases. The drug has anti-inflammatory, antiedematous and anti-allergic effect. Ointment reduces redness and inflammation, reduces migration of leukocytes and lymphocytes at the site of inflammation. Hydrocortisone ointment prescribed when conjunctivitis, blepharitis. Also it is used for inflammation of the anterior segment of the eye, the iris – iritis, corneal keratitis, iris, ciliary body of the eye - iridotsiklite, choroid – uveitis. The drug should not use in viral and fungal infectious diseases of the eye, the violation of the integrity of the corneal epithelium, trachoma, tuberculosis of the eye, in the vaccination period.